Nemanja Nikolic converted a penalty kick in the 84th minute when the Chicago Fire tied the Vancouver Whitecaps 1-1 at SeatGeek Stadium in Bridgeview, Ill., on Friday. Vancouver (0-2-4) goalkeeper Maxime Crepeau preserved the draw with a save on C.J. Sapong in the 89th minute. He had five saves. Yordy Reyna took advantage of a gaffe by former Whitecaps goalkeeper David Ousted in the 53rd minute to score on Vancouver's first shot on goal. 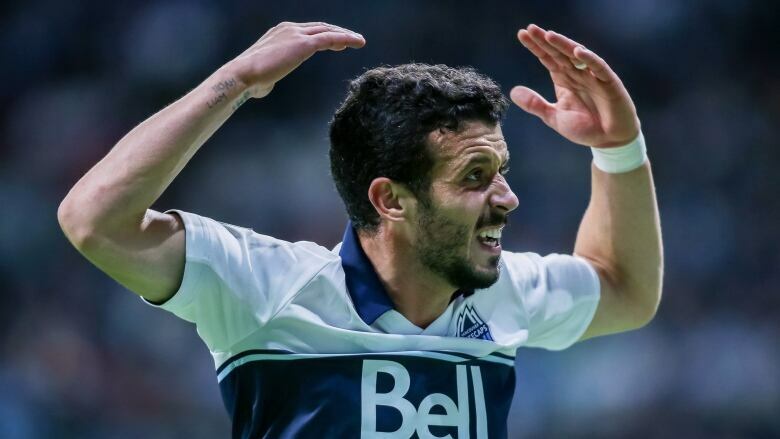 Ousted raced to the right edge of the penalty area to gather a loose ball but as he slid, he lost control of it and Reyna was there to shoot into the open net to end Vancouver's goal-less drought at 269 minutes. Joaquin Ardaiz nearly doubled the lead in the 75th minute but his strike went off the crossbar. The Fire had the two best chances in the first half but could not get one past Crepeau. In the 12th minute, Bastian Schweinsteiger, from his new center back position, got forward and ripped a shot from 35 yards that Crepeau punched away. The rebound landed to Nikolic but his shot went into the left netting. At the half-hour mark, Aleksandar Katai took a 60-yard aerial from Mo Adams and did a double cutback in the box before putting a shot on goal that forced Crepeau into making a leaping left-handed save. The Fire dominated the opening 45 minutes with a 10-1 shot advantage with four on target. Katai opened the second half by nearly taking the lead three minutes in when he flicked a corner by Nico Gaitan over the bar. The Whitecaps return home to play Los Angeles FC on Wednesday. The Fire host the Colorado Rapids on April 20.